Will The iPad Land In China Next August? Pan Shiyi, an affluent Chinese businessman and real estate mogul with a large following on social networking sites, has accidentally shared the news of an impending China launch for Apple’s iPad come August, writes DigiCha. It appears mr. Pan got the news straight from Apple China head honcho Lu Lei, posted about it on a micro-blogging service to an audience of close to a million followers, and immediately removed the message after realizing that he shouldn’t have shared it the world. Shiyi later apologized for the whole ordeal on his blog. 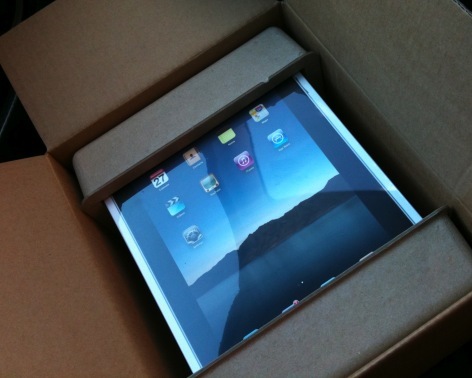 Apple has shown there’s a market for next-gen tablet computers, selling over 2 million in less than 60 days. A slew of Asian manufacturers evidently took notice and are jumping on the opportunity quickly by mass-producing clones, which they hope will take a bite out of Apple’s lead. An August launch for the iPad in mainland China seems plausible, but demand will depend greatly on pricing and which carrier scores the rights to sell the device. Apple would also need to develop a model that operates on China’s homegrown TD-SCDMA standard. The world’s biggest mobile phone operator by subscribers (+539 million), China Mobile, has repeatedly expressed its desire to sell the device, particularly now that it is setting up an electronic book business. Rival telecom operator China Unicom, which beat China Mobile to become the carrier for the iPhone last year, is also said to be in talks with Apple for further cooperation. China had a total of 776.9 million mobile subscribers at the end of March, the largest number of any country.